Scoliosis is an ancient problem and it is only in the last fifty or so years that we have started to engage in treatments beyond punishing braces and witchcraft. Modalities ranging from bracing to electrical stimulation have been tried in an effort to reduce the curvature and stop its progression. New vistas such as gene therapy are arising as we learn more about the genetic basis. But for the last fifty plus years, the only tried and true method of actual correction of a curve was through surgical spinal fusion. This does not mean to imply that spinal fusion is (or has ever been) a single monolithic procedure. From the early onset of treatment, there has been controversy and change, some subtle, some drastic, in an effort to make the procedure safer and more reliable. Even at our current sophisticated state, all surgeons recognize (or should) that we are just passing through this age with the “next great innovation” just over the horizon. Ultimately, the key fact is that fusion surgery is a non-anatomic salvage. It is a procedure that provides great benefit, but it is still a response to a process that we do not fully understand. Until we understand the genetic or even the molecular level of the process, our efforts will be by necessity crude, regardless of how elegant they may be. I marvel at the first few surgeons who undertook opening a spine for fusion. Organized and scientific study of spinal fusion began in the late 1940’s, a time when antibiotics were just coming into their own and surgical infection rates were alarming by modern standards. The exposure of a large portion of the spinal column must have seemed unbelievably daunting, but the truth of the matter is that younger humans have incredibly robust immune systems. As a result, infection in these cases was surprisingly low. Early fusions did not have the benefit of internal fixation (the screws and rods that are commonly in use today). Frequently, the child was corrected either by serial casting – a technique which is regaining some favor – or by a progressive brace hinged at the curve apex. When the desired flexibility and correction had been obtained, the brace or cast was locked into position. The child was taken to the operating room and the posterior bones of the spine were exposed and “shingled” – strips were cut and folded on themselves to provide a local graft material. Later, graft from the hip/ pelvis area was use to supplement the local bone. The incision was closed and then the child was left in the brace or cast in a corrected position until the bone had healed, for the most part a matter of months. My father recalls rounding on pediatric floors during his early Orthopaedic years in Pittsburgh and following fifteen children wallowing in beds in large ward rooms over the course of entire summer. The dreaded Turnbuckle Cast. A child would live in this for months during healing of early fusions. As has been often the case, it took the vision of one man to change the face of surgical treatment for scoliosis. 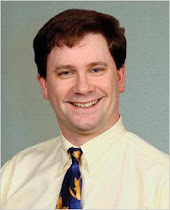 Paul Harrington from Baylor developed a fairly simple rod and hood complex which could act as an internal support for those children undergoing treatment. The steel rod complex was threaded either with a fixed hook and a moving hook or two moving hooks. By separating the fixed hooks in site, the convex side could be lengthened to allow what we term distraction of the curve. The same type of local fusion was performed and patients still needed bracing for an extended course. But casting was able to be put by the wayside and the children could be more mobile and released from hospital at a much earlier date after surgery. Harrington rods rapidly became the gold standard and were used regularly as late as the late ‘70s. Many operating room inventories still include Harrington sets on a shelf somewhere, although they are almost never used these days. Harrington Rods - a distraction (lengthening) rod on the left and a compression (shortening) one on the right. As good as Harrington’s system was – and it had the benefits of ease of use and a simple elegance – there were several flaws in the design which needed to be overcome as fusion and instrumentation went forward. The first and most obvious is in the mechanical design. The Harrington device is ultimately a long rod with a hook at either end. Each hook is secured into a bony bridge in the spine called the lamina. Laminar hooks provide excellent fixation and were the basis of fixation for years to come until the advent of screws. 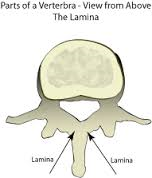 But a single lamina is a relatively thin strip of bone. A single fixation at each end of a device which sees a tremendous amount of force over the course of a lifetime is bound to be prone to disruption, either by movement of the hook off the lamina or by breaking of the bone itself. Another issue is that the linkage between the barrel and the screw of the rod proved to be a weak point, particularly if the bone fusion does not fully heal. Breakage of Harrington rods was not an uncommon occurrence, usually at that transition point. Various techniques were used to try to bolster the security of Harrington constructs. Multiple rod constructs were attempted – necessary if the child had more than one curve. I have seen constructs of two Harrington rods side-by-side along the spine. Unfortunately rods continued to break and hooks to subside. Around the same time that Dr. Harrington was developing his system, Dr. Eduardo Luque in Mexico City was working with a device that would stabilize if not fully correct a curve. His device was predicated on a stainless steel rod placed alongside the spine and held in place with a series of wires wrapped around the lamina. These Luque wires were individually flexible, but by wiring at each level the entire construct was made more rigid. The inability to distract the device to allow curve correction ultimkately limited its use to patients with neuromuscular disease (such as Cerebral Palsy). But the entire device could be placed safely and quickly and the concept and benefits of segmental fixation began to be evident. The Luque wires were sometimes applied in hybrid to the Harrington Rod devices – creating a construct that was fondly called a Harri-Luque. The application of this type of segmental fixation did seem to improve the strength of the constructs and disruption was diminished. Added refinements, such as wires which went into the posterior elements of the bone rather than around the lamina (Drummond wires) helped as well. But they could not overcome one of the main flaws of the Harrington design. The human spine is mechanically based on the front to back curvatures, what is termed the sagittal alignment. This allows the balancing of the centers of gravity in the body and facilitates all upright and most sitting posture in a normal person. What the Harrington distraction did not take into account was the sagittal malalignment that makes up scoliosis. Think about your high school geometry. Simple lengthening of the convex side of a two-dimensional semicircle may straighten into a line, but in the third dimension it will decrease the necessary backward bend of the lower back, called the lordosis. Patients who had Harrington fusion often developed severe pain and fatigue in their lower backs and an inability to sit unsupported for a long period of time. This so-called Flat Back Syndrome was the long-term curse of the otherwise promising corrective ability of Harrington fusions. 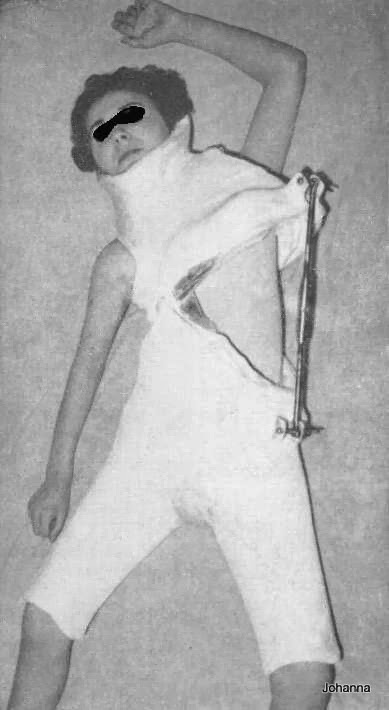 As the science entered the late ‘70’s and early ‘80’s, it would take the French approach to the segmental fixation problem and the developing concept of a rotational model to advance the surgical art of scoliosis treatment.